A bushel is a unit of measurement equivalent to four pecks or 8 gallons, used primarily to measure grain. 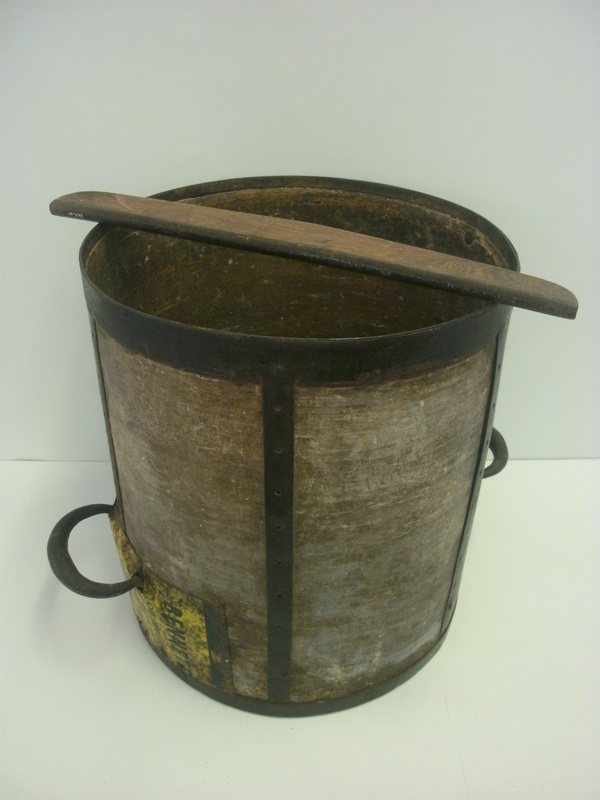 This bushel, a circular wooden drum with iron bands and two iron handles, was used at Woolney Hall, Creeting St. Mary. “With the bushel went a stick or strike for levelling off the top of the corn when the bushel had been filled. Both workers and farmers were very particular when filling corn into the bushel: if by chance the wooden scuppit or the scoop happened to touch the measure, thus jarring it and causing the grain to settle down, it was emptied immediately because in that state it would have more than it’s proper amount of grain.